P.S. 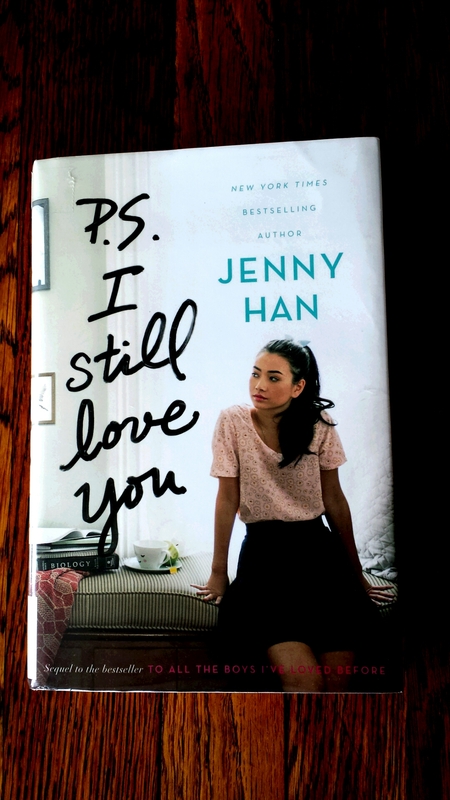 I Still Love You is the sequel of To All The Boys I’ve Loved Before. This quote really describes the book. Past relationships really matter in the present for Laura Jean as she tries to find love without getting her heart broken. In case you haven’t read To All The Boys I’ve Loved Before it starts out with Laura Jean and a box of five letters addressed to all the boys she’s ever “loved”. When her younger sister gets pissed off at her, the letters get sent out to all the boys and Laura Jean has to deal with the aftermath. The book is a general cute, quick read. P.S. I Still Love You is what happens when Laura Jean and Peter actually try to have a relationship. When one of the letter recipients comes into the picture and Genvieve still in the background, things get even more complicated. At the end of the book I really wasn’t sure who she was going to chose or really if she made the right choice. The thing about these books are that they play off plots that you’ve seen a million times but it somehow makes the old plots refreshing and makes the ending semi-unpredictable. I like following the life of Laura Jean. In the background of her relationship is her family, her friends, and the volunteering that she does at the nursing home. These elements really round out the story.